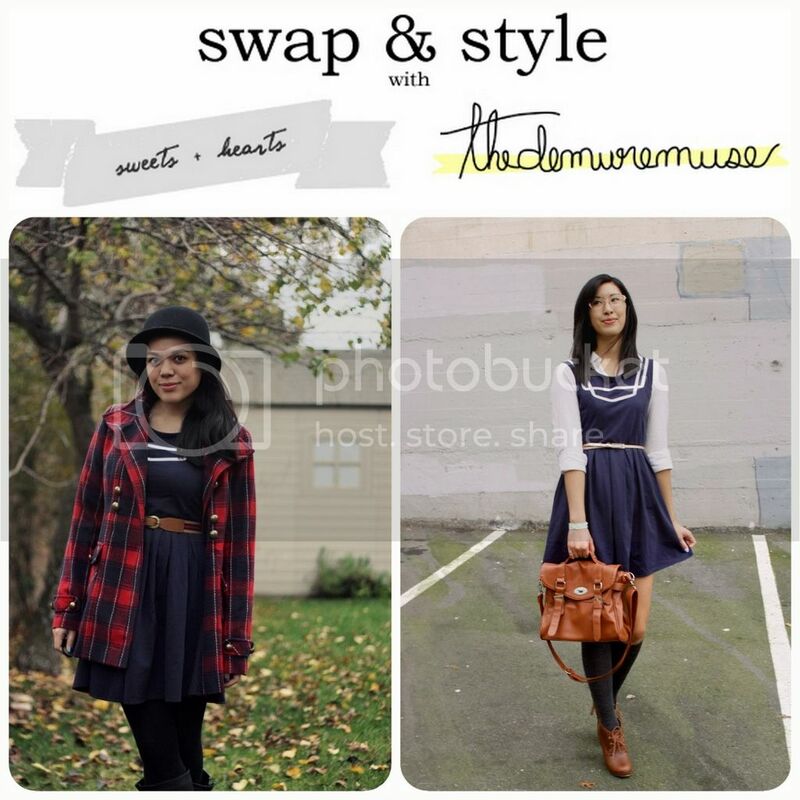 For Part II of our latest Swap & Style, I lent Katrina one of my favorites: Dear Creatures' "Mia" dress. 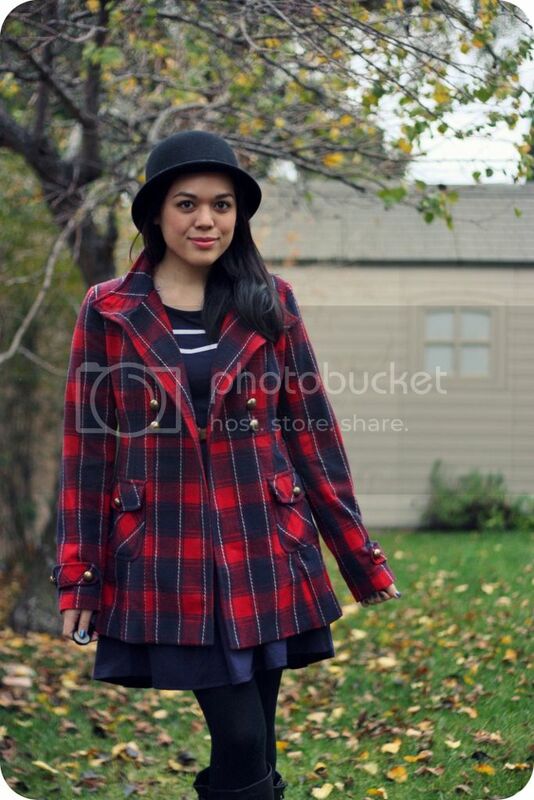 I'm such a sucker for sailor/nautical items and should've snatched this up right away when I first saw it last fall on ModCloth--but I ended up waiting and it was sold out for a good while. My patience paid off. Once I got the restock notification, I didn't even hesitate. 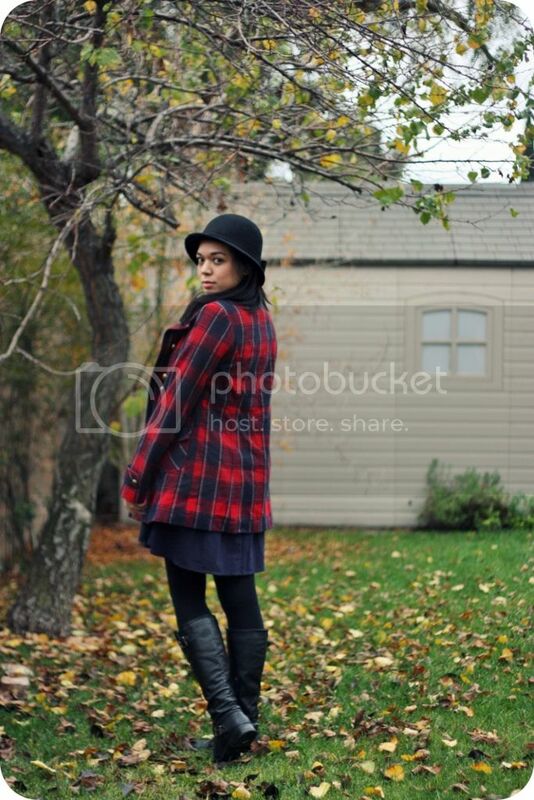 It was gloomy/rainy/chilly when I wore it, so I styled it with my red and navy plaid coat, tights, boots, and a hat. 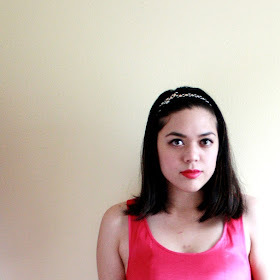 I can't wait to wear it stripped down and simplified over the summer. 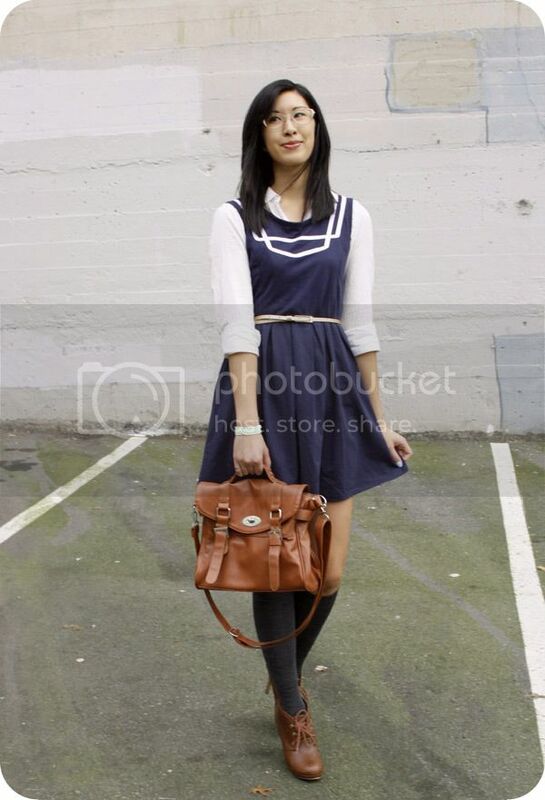 Maybe I'll pair it with ballet flats and a boater hat. I love how Katrina paired it with cognac and other neutral accessories, and how she layered it with the white blouse. 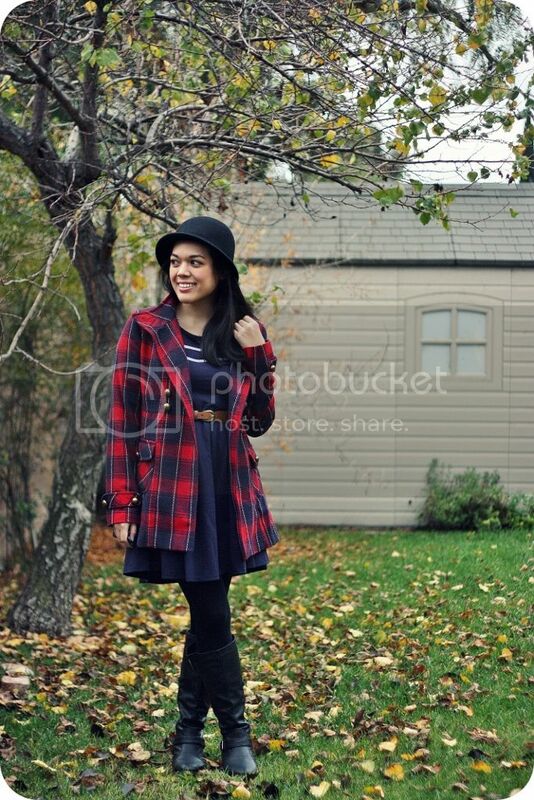 Be sure to visit her blog for more photos and details on how she styled it. 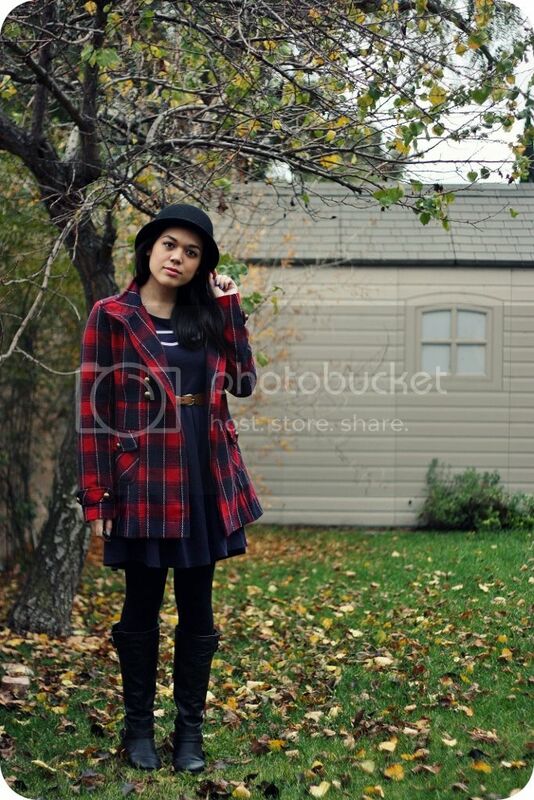 How would you style this Dear Creatures dress?